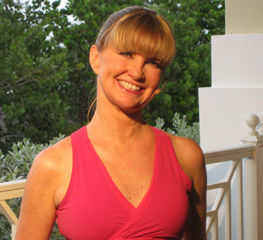 Miranda Esmonde-White is the Creator of Classical Stretch, Essentrics Co-Founder and Creative Director of The Esmonde Technique. 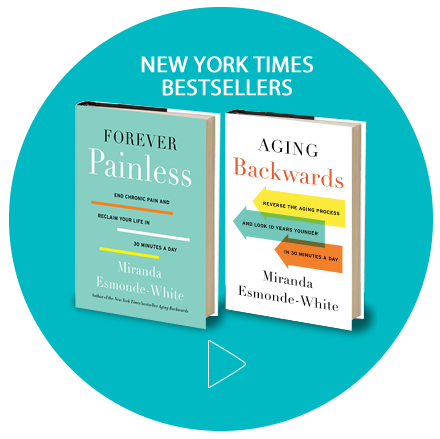 She is also the NY Times best-selling author of “Aging Backwards” and “Forever Painless.’” Miranda is one of America’s greatest advocates and educators of healthy aging. She is best known for her PBS fitness show, Classical Stretch, which has been on air since 1999 and is rated the #1 fitness show on the network. Following her career as a professional ballerina, Miranda developed her own fitness technique and quickly became the flexibility trainer and consultant to professional and Olympic athletes. Miranda is a true pioneer in the fitness world whose effort will revolutionize the way we understand fitness. Based in Montreal, Miranda spends her time writing, giving workshops, and developing the Essentrics Teacher Training program. She still teaches live classes at her flagship studio and in cities around the world. Sahra Esmonde-White is the co-founder and president of The Esmonde Technique, host of the Essentrics workouts and Executive Producer for all The Esmonde Technique productions. Since the company’s inception in 1999, Sahra has produced over 300 fitness TV shows and DVDs sold worldwide. She is passionate about helping people lead healthy lives through intelligent fitness and a thoughtful lifestyle and has been named one of the top health experts in Canada by both Fashion Magazine and Flare, two of Canada’s top women’s publications. Her DVDs have won “Top Workout” awards in both Canada and the UK. Sahra holds a Bachelor’s degree in Economics with Master’s studies in both Health Economics and Public Heath. She has worked closely with celebrities such as UK model/actress/entrepreneur Lily Cole, Canadian actress Sarah Gadon, professional athletes including the NHL’s Montreal Canadians, giving them the tools and understanding to create a healthy balanced body. With headquarters in Montreal, The Esmonde Technique is the foundation of Essentrics and Classical Stretch. The Esmonde Technique is proud to have over 1,000 teachers worldwide, 300 Classical Stretch TV shows aired nationally in the USA and a series of successful Essentrics and Classical Stretch DVDs sold internationally. Created by former National Ballet of Canada ballerina Miranda Esmonde-White, the Technique has helped to change the lives of participants all over the world.